In Tibetan terms painting means Thankas which can be scroll and rolled up, painted, embroidered and can be made of patchwork. 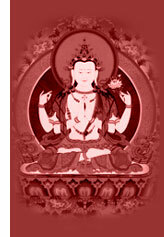 Common form taken by Thanka is a vertical rectangular shaped. First framed by textile borders usually ( red and yellow) in color and often subsequently mounted on Chinese and indian brocade. Tibetan thankas have very define symphony accomplish into degree of expediency in brilliant lustrous and natural pigment. 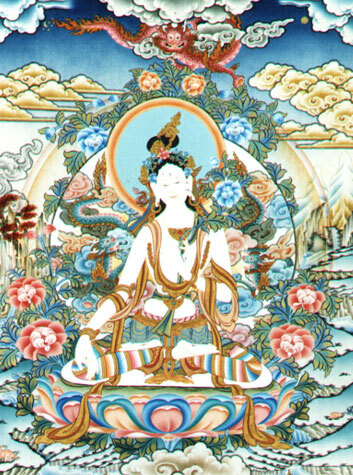 The origination of Tibetan thanka could be tracked back to 18th century. The Tibetan thankas can be subjected either to the types or icons, Mandala, Buddhas and Bodhisattvas, Guardians and Yidams and Bardo Thanka. Each thanka is considered as a support for meditation, bringing significance not only to pattern and artist, but to all human beings. These art often bespoken for more specific reasons not frequently as a visual supplication to a diety. Newar mores has historically made up in majority of the population of Nepal's kathmandu valley. Newari arts had a great influence on the development of Tibetan paintings. The arts flourished later in the 15th and 16th century. Tibetan reliance in newar style in painting was finally replaced by distinctly Tibetan style. 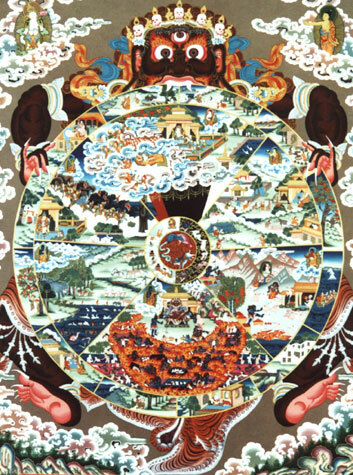 The existence in constant assimilation, adoption of new ideas in a vibrant cultural resulted into two developments in Tibetan paintings in 15th century based on Indo-Newar and primarily Chinese elements. Newari art has the huge influence, evident in style over Tibetan painting.